My entry for Photo Friday’s challenge: Heavy. 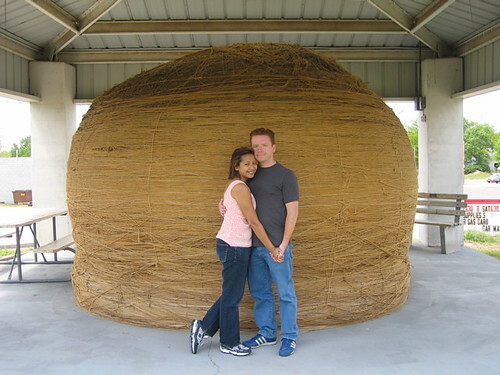 Four years ago, Cawker City’s ball of twine weighed 17,866 pounds. I suspect it’s bigger now since the city defends its title of “World’s Biggest Ball of Twine” with an annual festival that has folks adding twine to the ball.